A complete set of Charles Philipon's La Caricature Morale, Religeuse, Litteraire et Scenique will lead Dreaweatts and Bloomsbury's November 7 Library of a Gentleman sale in London. The satirical French magazine was first published by Charles Philipon in 1830 and ran until 1835, with 251 issues printed. 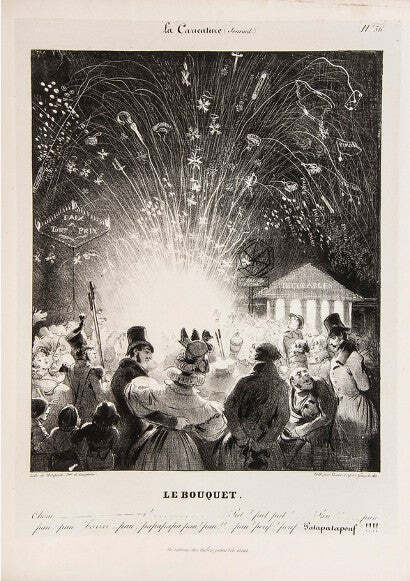 It featured savage caricatures of the political and social elite, and was particularly critical of King Louis Philippe I - a stance that led the French government to ban political caricature in 1835. The 10 volume lot includes over 500 lithographs and is extremely rare as part of a set, explaining its £10,000-15,000 ($16,154 - 24,231) valuation. 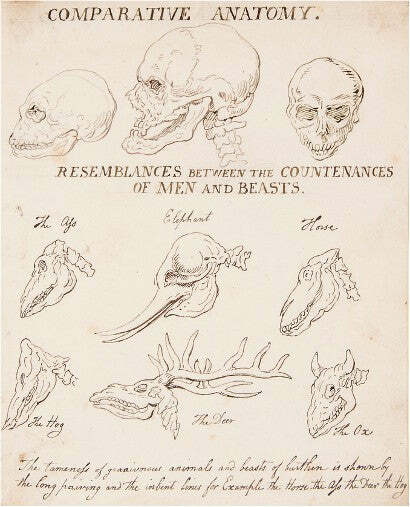 Thomas Rowlandson's Comparative Anatomy, Resemblances Between the Countenances of Men and Beasts (1822) carries an identical estimate. The manuscript consists of a number of watercolours that offer humorous comparisons between human and animal anatomy. Just two other copies are known to exist. Another publication by Rowlandson, the Comforts of Bath (1798), is described as among the rarest of Rowlandson titles. It was initially drawn to illustrate Anstey's New Bath Guide, but was never issued with text. It features only light spotting and soiling and is offered with a valuation of £8,000-12,000 ($12,923-19,388). George Moutard Woodward's The Caricature Magazine or Hudibrastic Mirror (1819-1823) is also valued at £10,000-15,000 and features a collection of caricatures depicting contemporary themes such as the Napoleonic wars and religion. The five volume set is in fine condition, and is extremely rare as a set. View our range of rare books and manuscripts here. Sign up to our free weekly newsletter for more from the world of collecting.